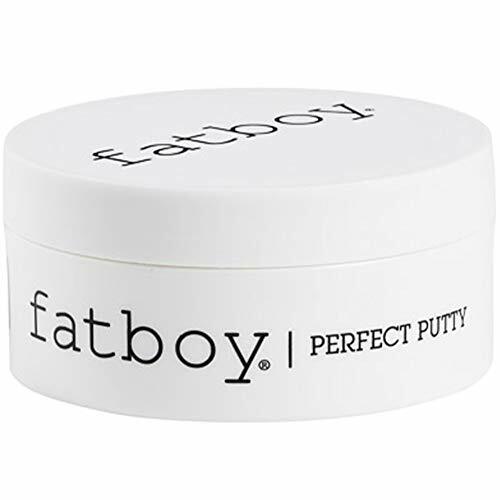 Whether you have long or short hair the Perfect Putty from Fatboy is perfect for styling your hair with a matte finish and second day texture. Tyson Kennedy, an acclaimed hair dresser and founder of Cutler Brooklyn, come occasional rock star, conceived Fatboy when he was trying to solve a simple problem. Working on hair all day every day, Tyson became frustrated with the lack of styling products that really did the business. A lot of brands talked the talk, but few delivered. Tyson set out to change this, and began working on a recipe on the kitchen stove top in his Lower East Side apartment. The result was Fatboy Perfect Putty. Fatboy has since grown into an award winning range of products, and it's been quite the journey. If you have any questions about this product by Fatboy Hair, contact us by completing and submitting the form below. If you are looking for a specif part number, please include it with your message.